For a few weeks now, I have been working to prepare because I knew life would be more busy than usual. Creativity is interesting, it’s like a muscle. It is stronger when you use it often. I have be practicing brainstorming sessions, which are difficult if you don’t do them often. The first few were very frustrating, and had no positive results. I have been getting better, though. Several ideas that use stars have come to me, but before I share them, I needed to write a very simple star pattern. 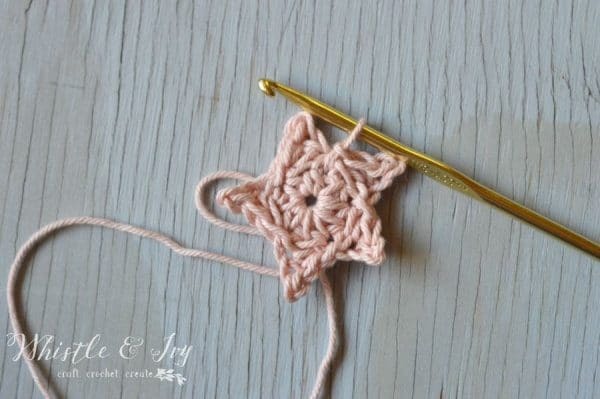 These mini crochet stars will be perfect for the ideas I’m envisioning. But first, I want to introduce you to our new family member! As soon as we brought this guy home, I was dying to introduce him to you! 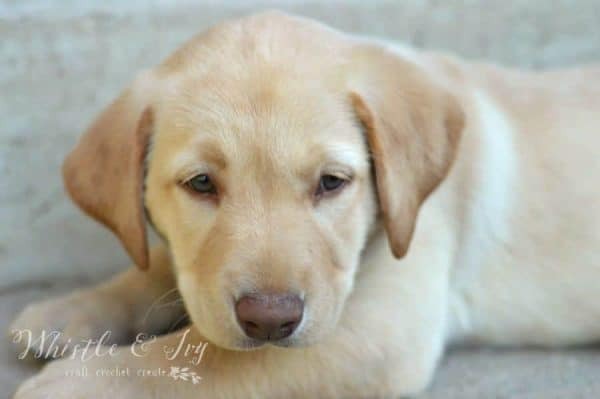 His name is Goose, and he is a yellow Labrador with greenish-brown eyes. He is incredibly sweet and very, very smart. We’ve had him for 4 days, and he is already fetching, sleeping comfortable and happily in his crate, and using his designated potty corner of the yard. We are smitten, and The Boy is in heaven with his new puppy. I knew getting a puppy would be LOTS of work, so I have been working on getting some projects and patterns finished for you. 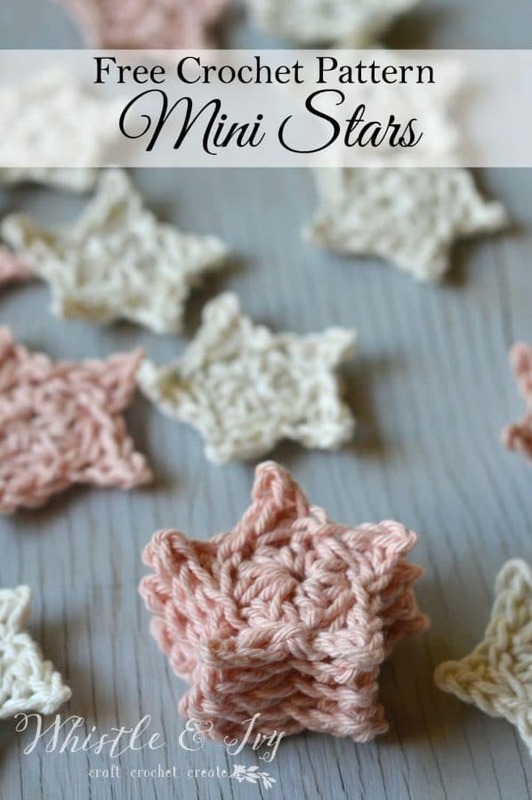 These mini crochet stars are very simple, and there is a wealth of projects to use them for. 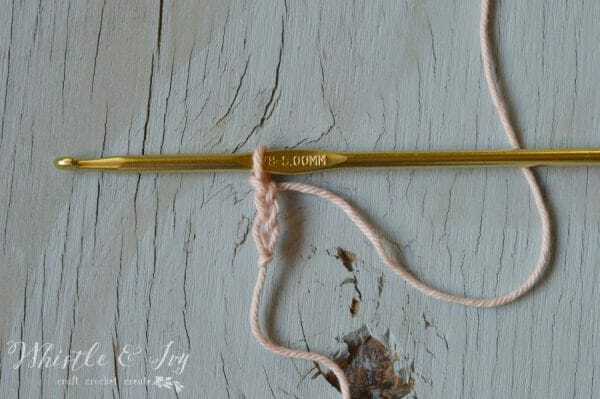 You can use any hook and yarn, but I used 100% Cotton Dishie by KnitPicks. Dishie is a lovely cotton yarn that works up nicely and doesn’t make my fingers raw to work with it. Start with a ch 3. Hdc 9 in the first ch. Join with a sl st.
Ch 3. Sl st into 2nd ch from hook. Hdc in next ch. Sk next st on the circle, sl st into next st, forming a star peak. Repeat this step, until you have 5 peaks. 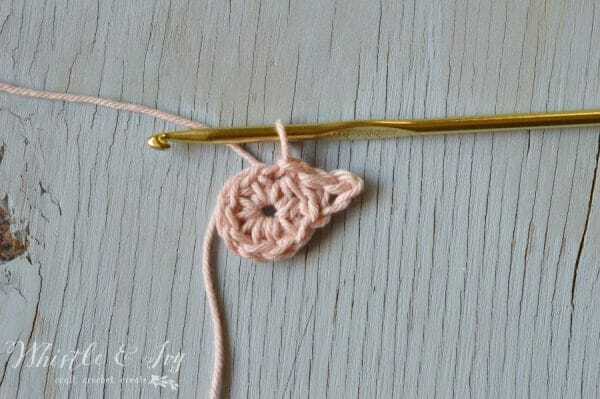 Your last sl st will be worked in the beginning stitch. 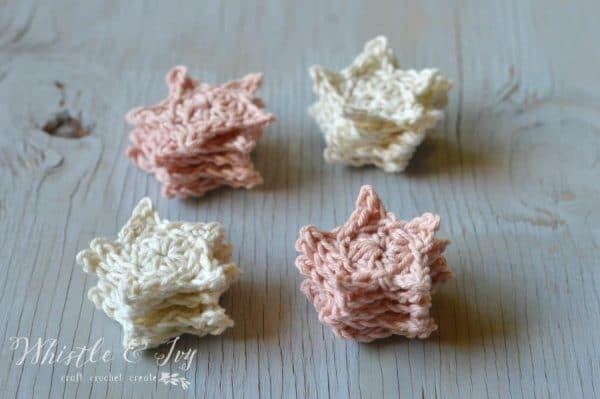 Stay tuned for some fun star projects to use with these crochet mini stars. P.S. I told myself I would never be that pet-parent who puts clothes and accessories on a dog, but I am already brainstorming ideas for him! 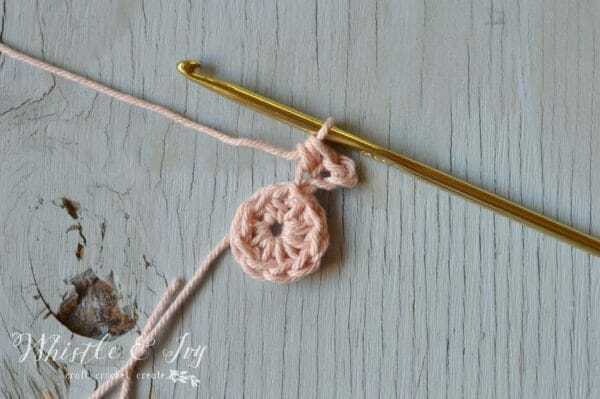 Do you crochet for your pets? Don’t miss a thing, subscribe here. And for more Goose photos (and other fun stuff) follow me on Instagram. Love Love Love! Your pattern was the absolutely best explained step by step to understand!! CUTEST little garland ever!!! These are super cute. I’ll use them as spots on a Dino I’m making. But the star of this post is totally Goose. So cute! Oh how cute! I love the idea of star shaped spots! Thank you, we sure love him. He is grown now, but just as sweet and playful as he was when he was a puppy! I’m so glad they work for you! You are welcome! Hi there, you have such a sweet pup. Really like your star pattern, and thank you for sharing. Txs fr the star instructions. These are adorable. Now to have a try at making them. Спасибо за милую звездочку! А не могли бы Вы добавить схему вязания? These are the best stars ever. 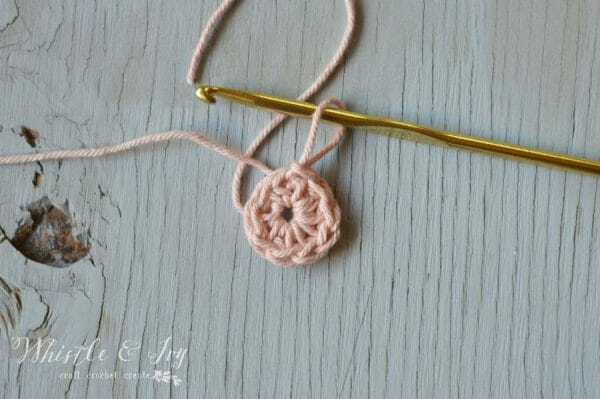 I am currently crocheting 24 different models for my daughters advents calendar. Thx. Please send me an email requesting a newsletter subscription and I will get you all signed up. Cute puppy! You totally need to make him a fun halloween costume! Goose is beautiful. He looks very intelligent. Now I know we can expect lots of wonderful items for our babies.Lol. I have made blankets, toys,and a collar with matching leash. Looking forward to what you have in store for us. Enjoy your new baby. I so needed this. Want to put little stars on the side of my baby booties and just could not get them right. I am a more visual learner so the pictures help tremendously. And, Goose is precious. Labs rock. Yay! SO glad it was useful to you :) And thank you! He is so smart and sweet, I know we made a good choice. Goose is wonderful! And the little stars are too.I’m curious what you will be making with them.